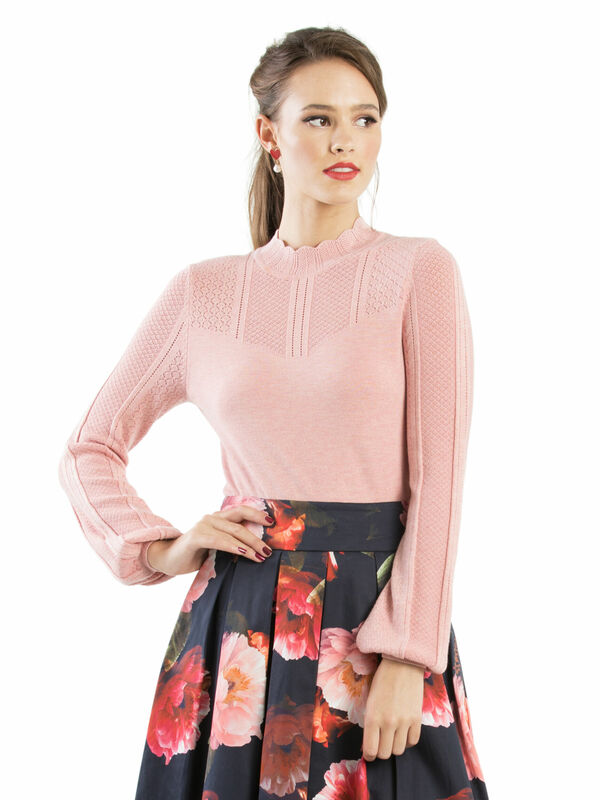 Mable-Rose Jumper https://www.review-australia.com/au/mable-rose-jumper-salmon/RE19KW131.REPNK116.html Gracefully blush your way through life in the Mable Rose Jumper. 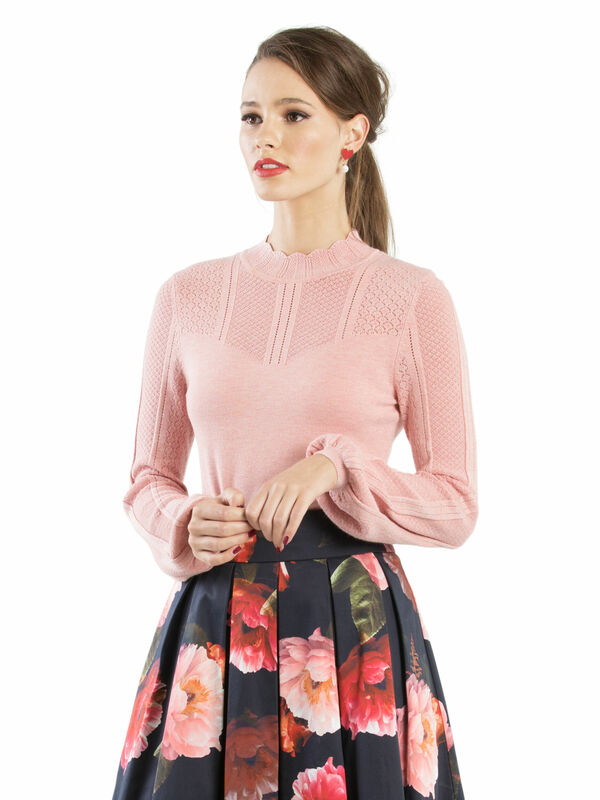 A light-weight knit with delicate bell sleeves and intricate knitted patterns throughout. 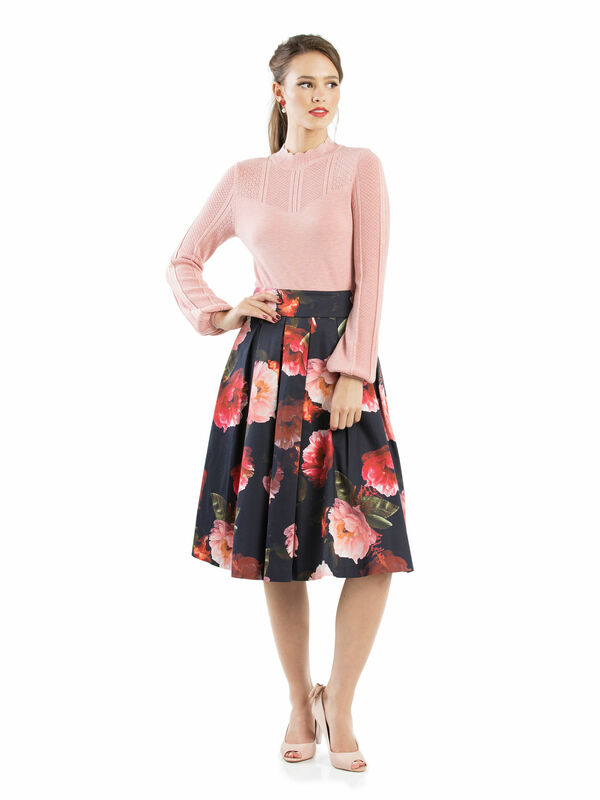 This style pairs perfectly with the Mystic Floral Skirt, however, will also style effortlessly under your favourite pinafore or tucked into high-waisted pants.